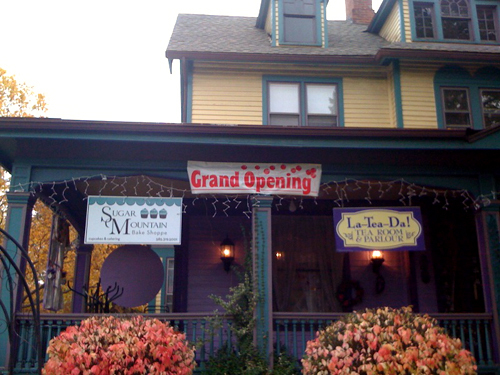 Rochester now has a gourmet cupcake shop, Sugar Mountain Bake Shoppe and today was their grand opening. They have almost 40 different flavors and they wlll rotate them throughout the month. 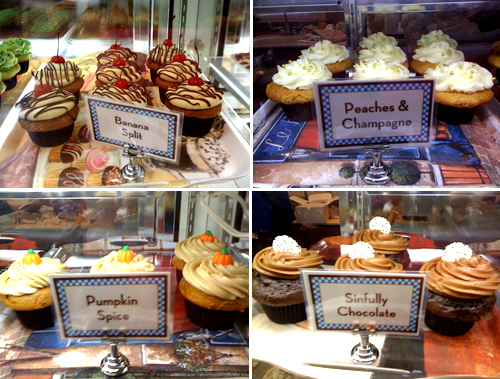 I liked the Peaches & Champagne, the Peanut Butter Chocolate and the Pistachio Lime. WOW now that looks like my kinda place. My nephew goes to RIT...Im definately going to send him the link...if he doesnt know about it already!! THANKS! Wow those look amazing! Stopping there tomorrow at lunch. My son was a Wegmans employee all through high school and college and is now living in San Diego, says that Wegmans is still the best Grocery store. Bought him a Wegmans Truck Pez for his stocking. He will love it. 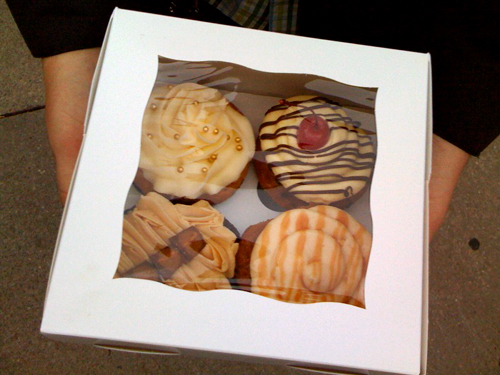 You should try cupcakes from The Cupcake Dreamery (http://thecupcakedreamery.com). They are great as well!! I took a visit to their shop last night with my co-worker. We were amazed that they've created such a cute place for their customers. 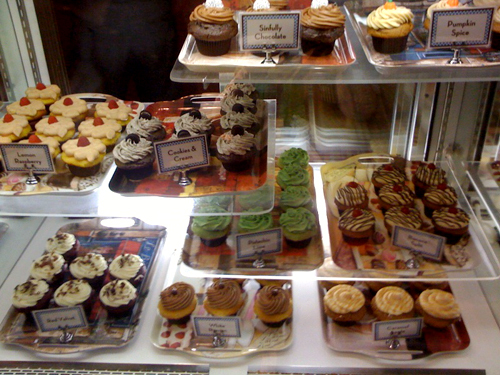 I had the "cherry almond" cupcake and she had the " chocolate peanut butter" one. OMG! that was so good that we both almost wanna scream. 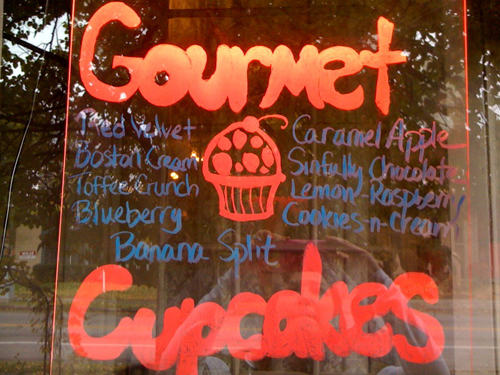 I think that's the best cupcake I had in Rochester by far. I am also impressed by their wonderful service. Highly recommended. thanks Jenn for this blog as well.